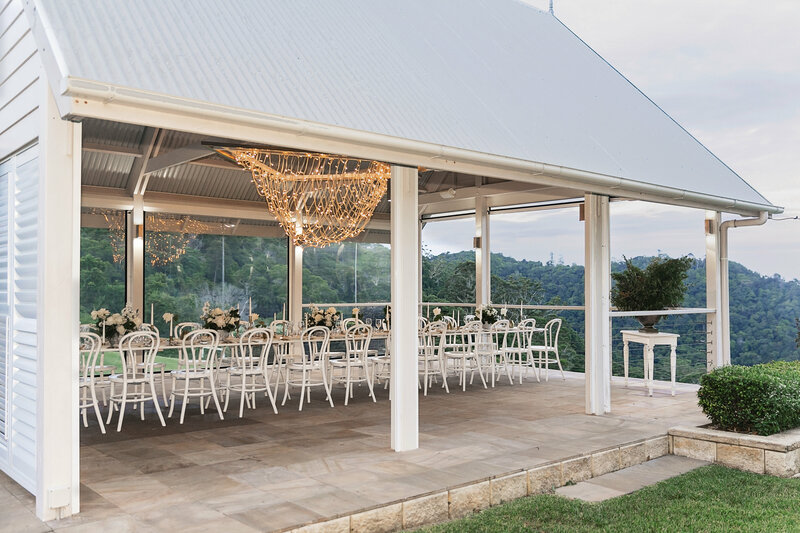 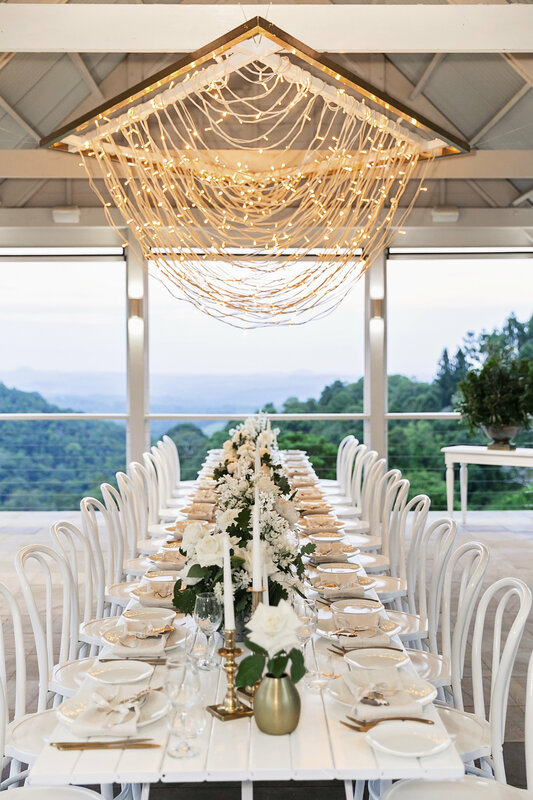 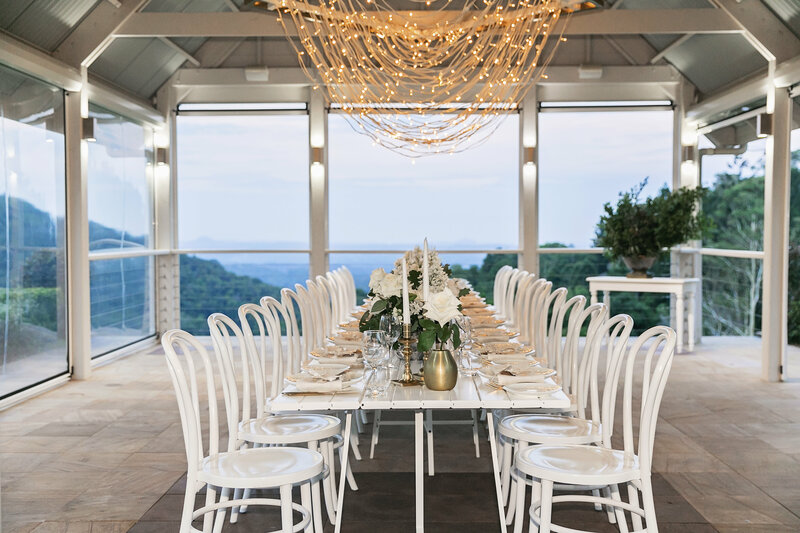 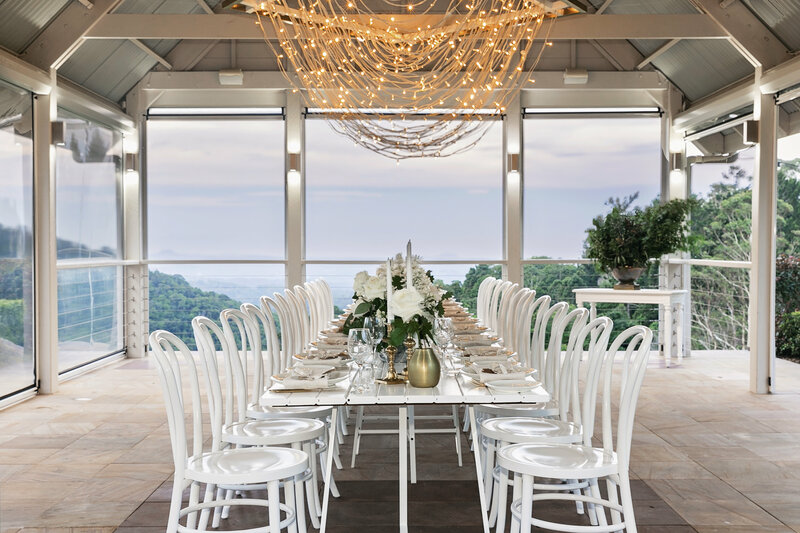 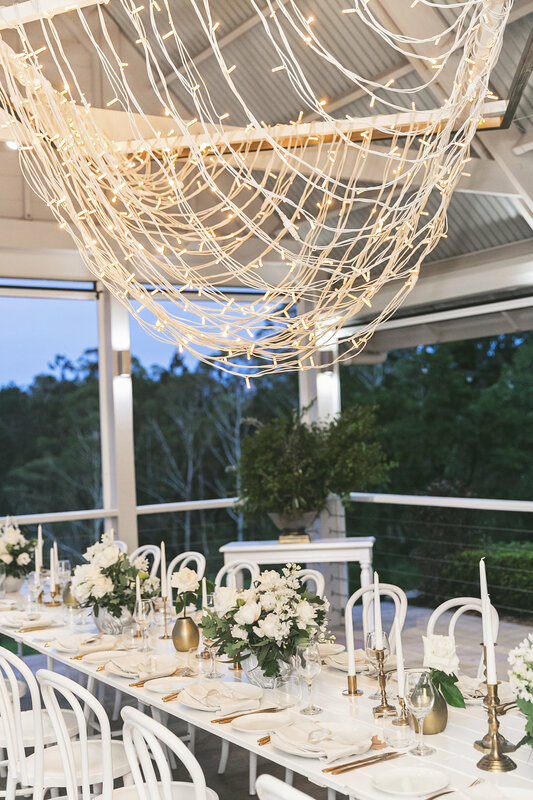 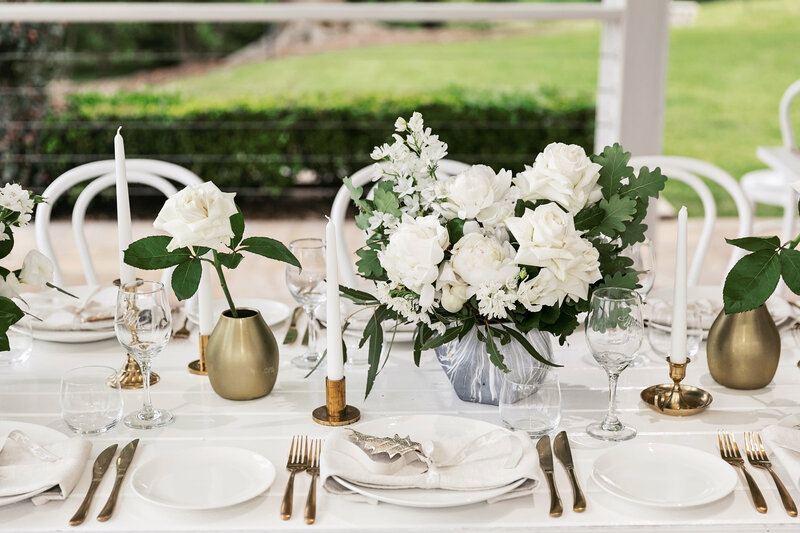 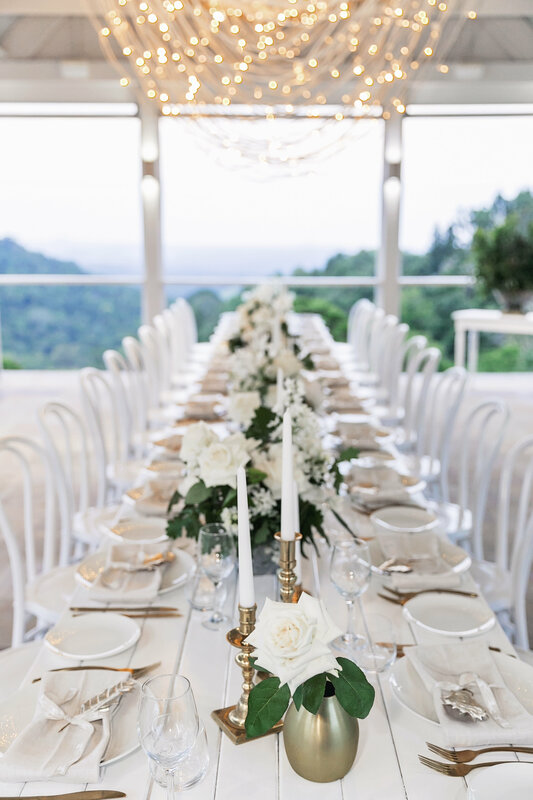 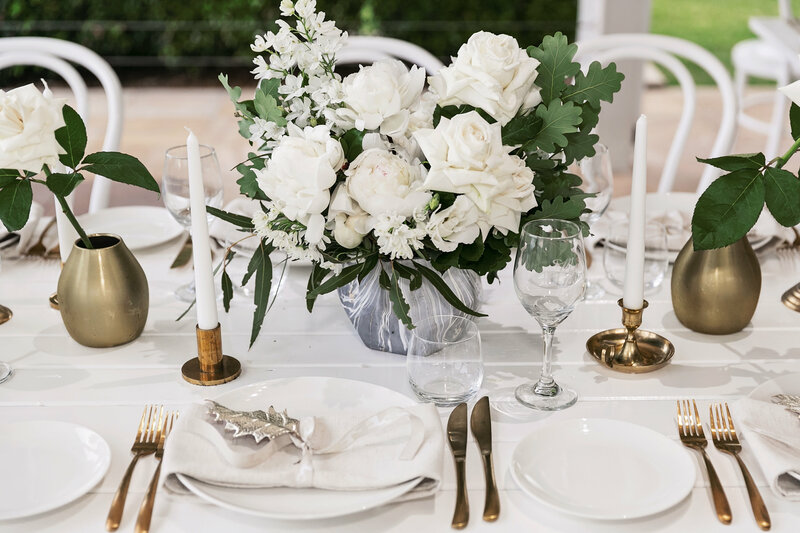 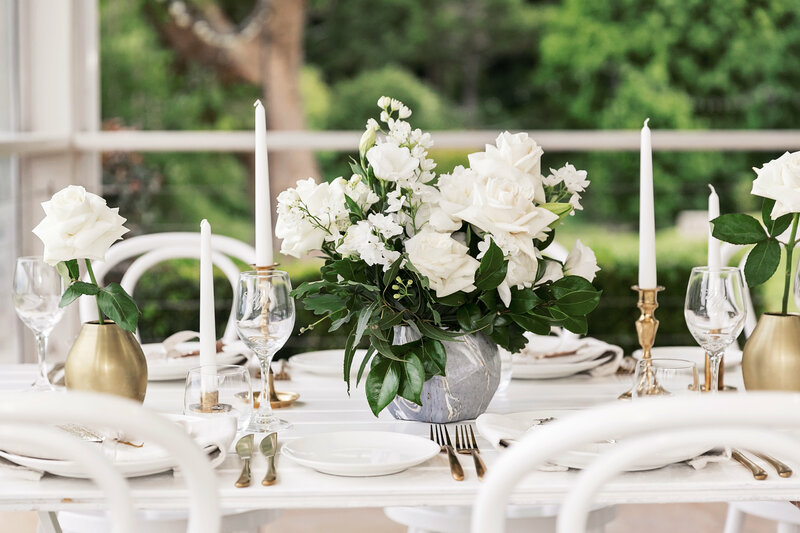 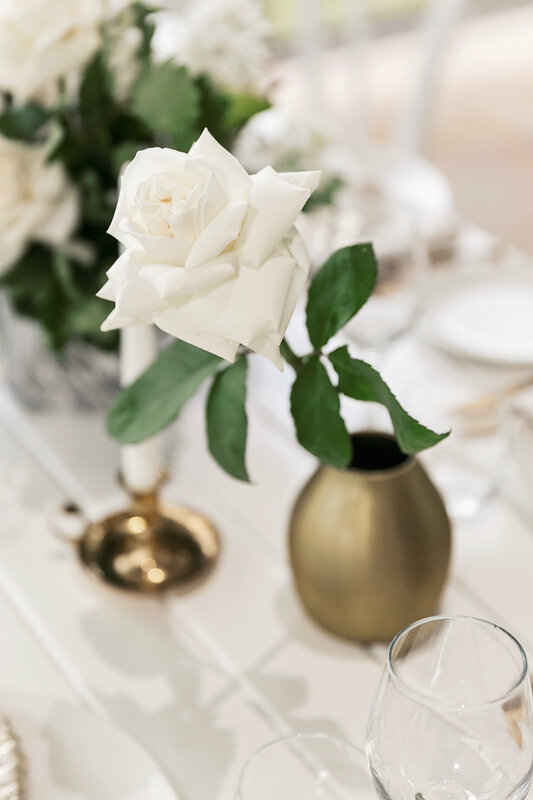 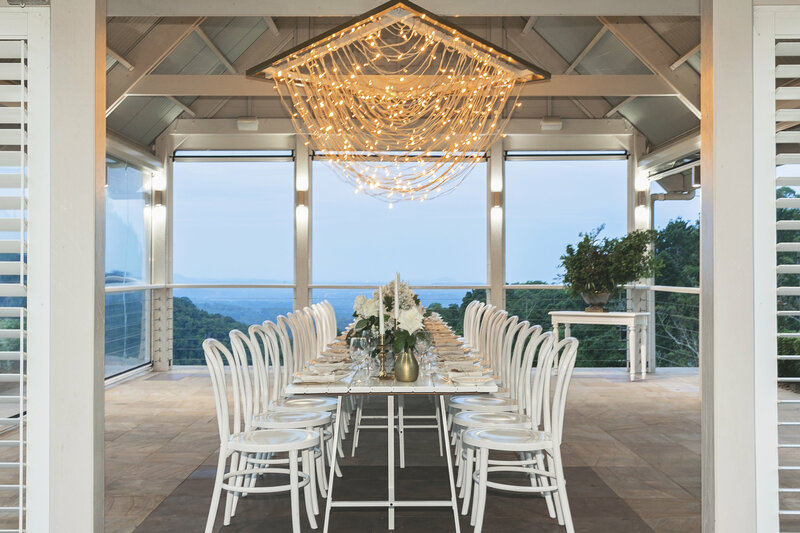 The outdoor pavilion on the edge of the Sunshine Coast, in the Maleny Manor Estate is where our magical white & gold Christmas happens, transforming into a private Christmas affair to remember. 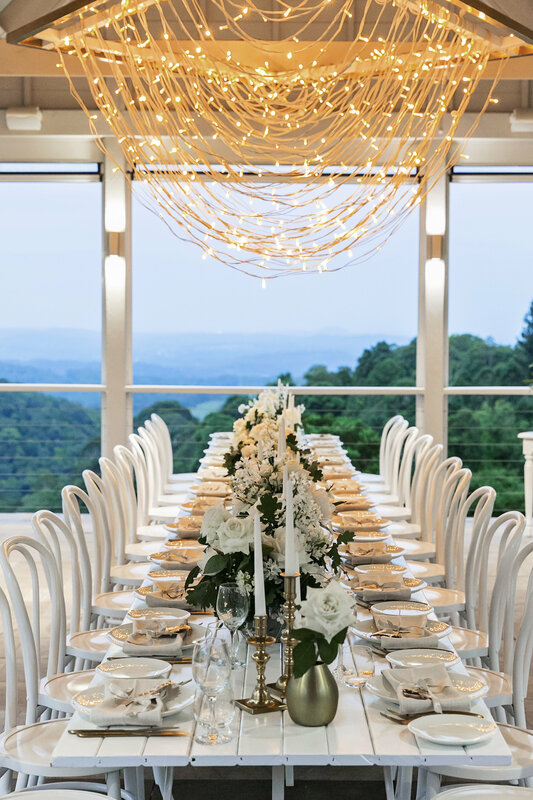 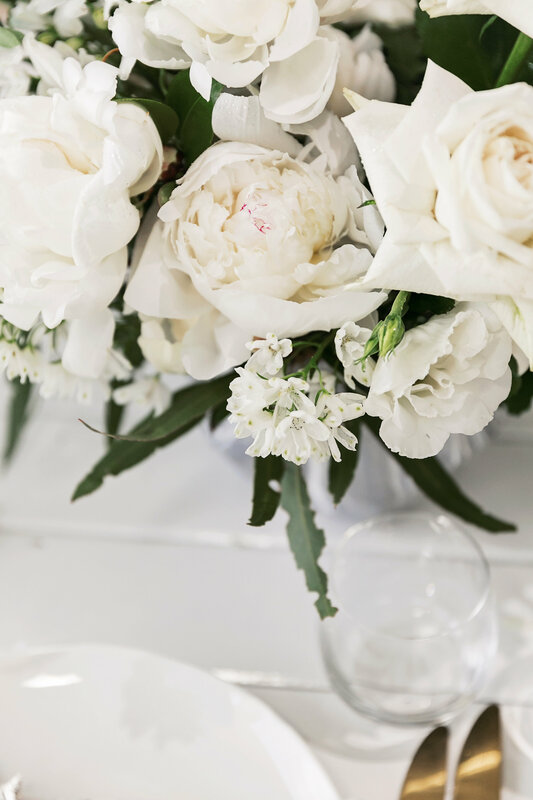 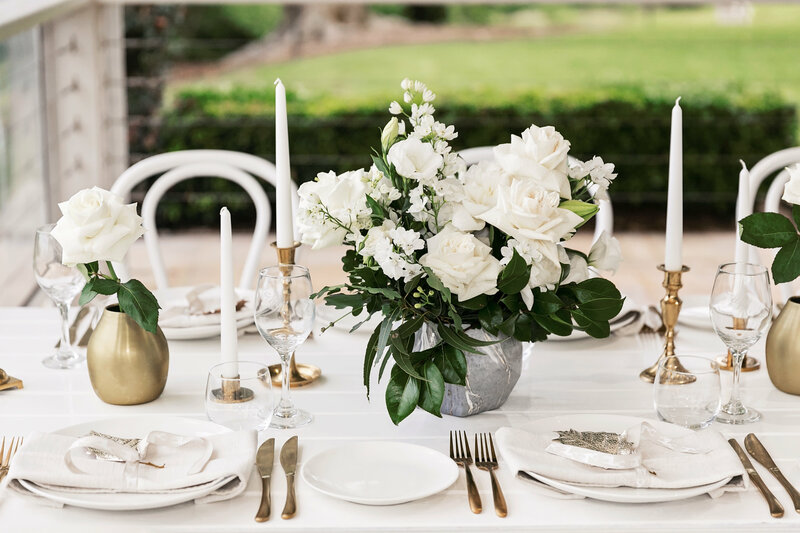 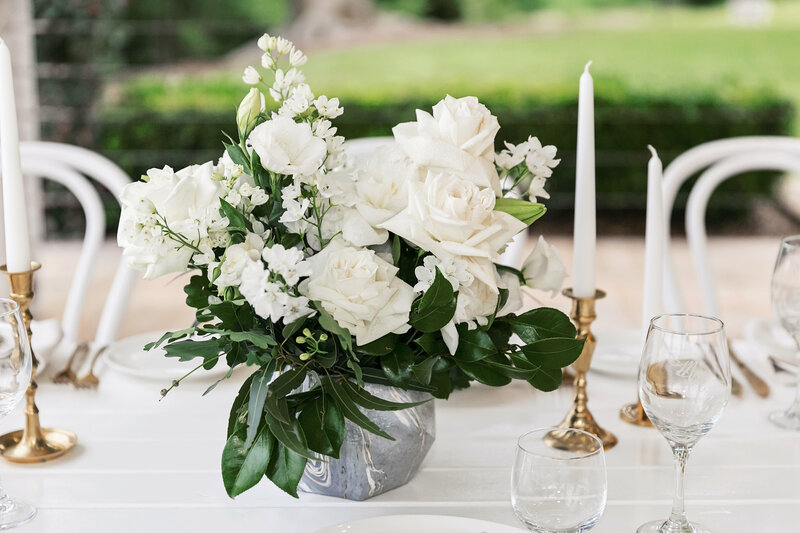 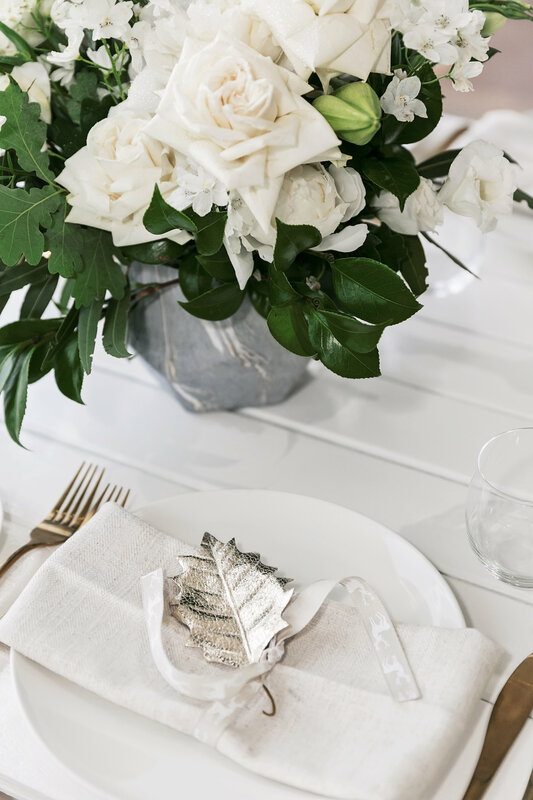 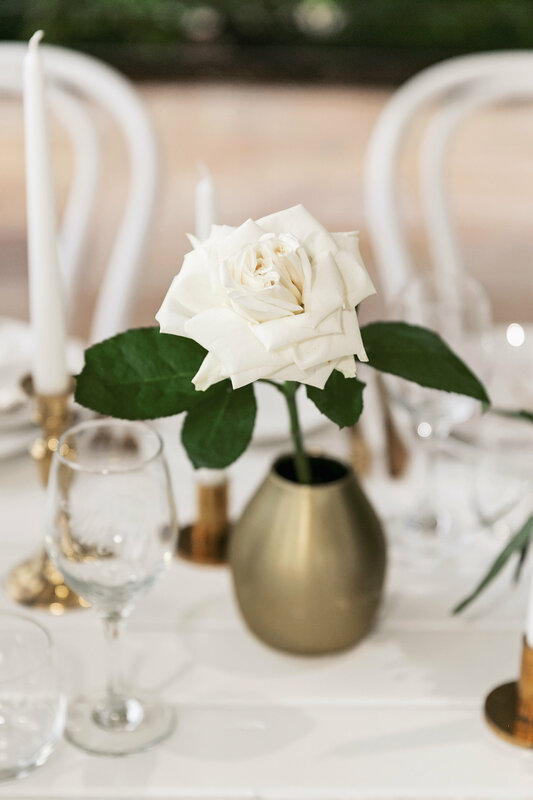 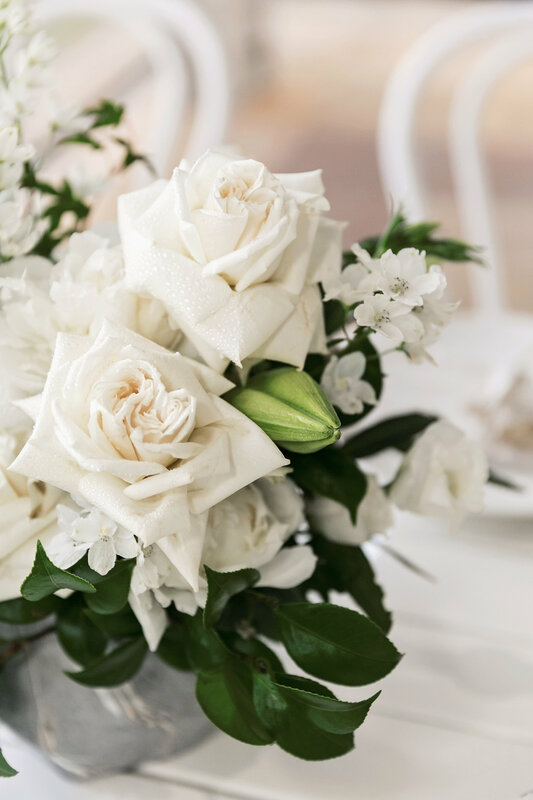 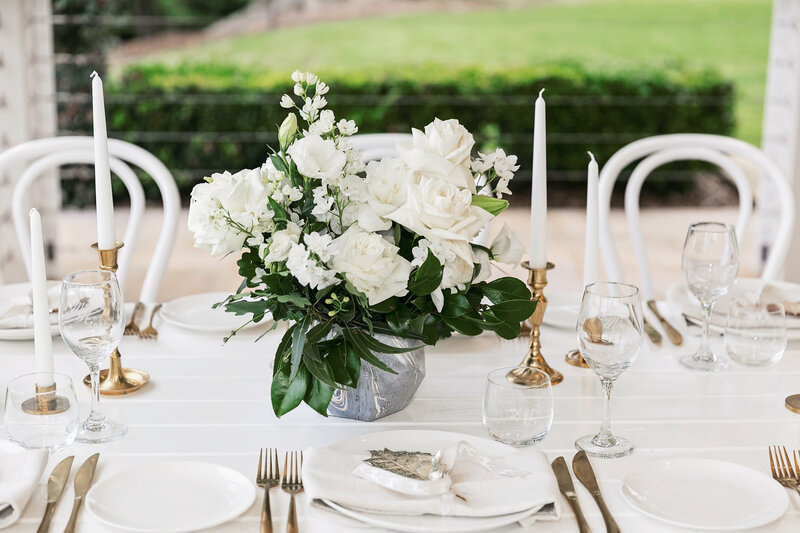 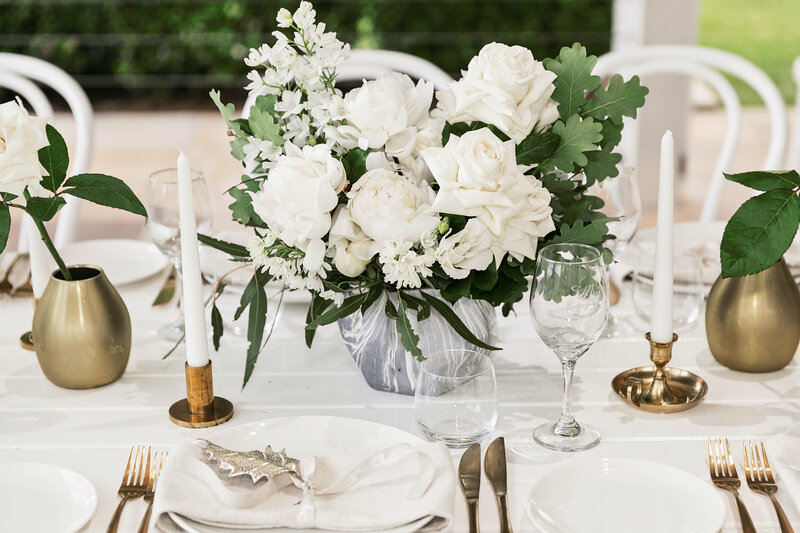 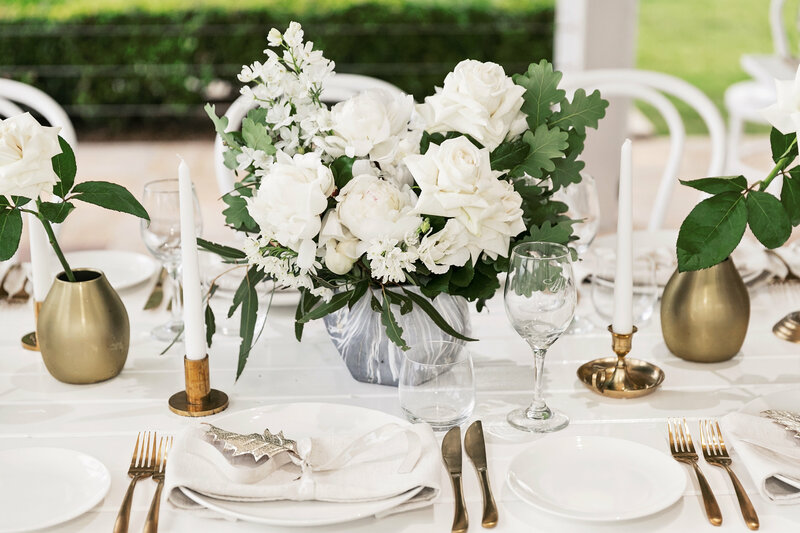 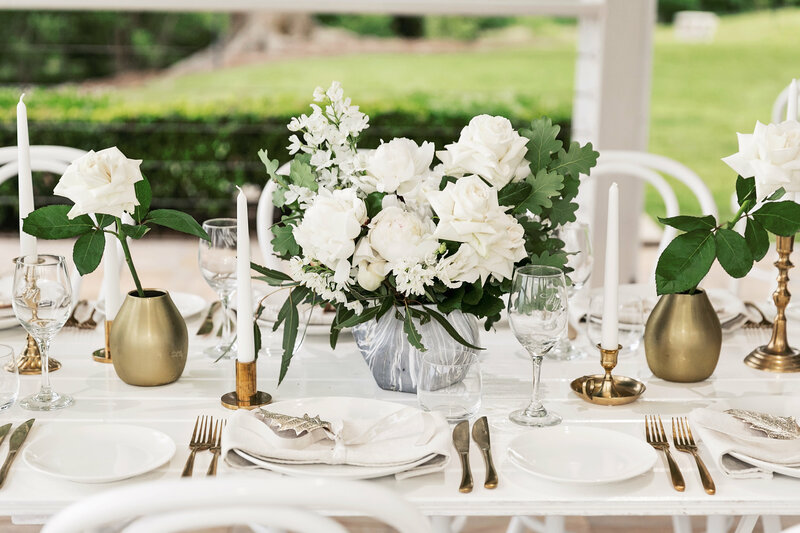 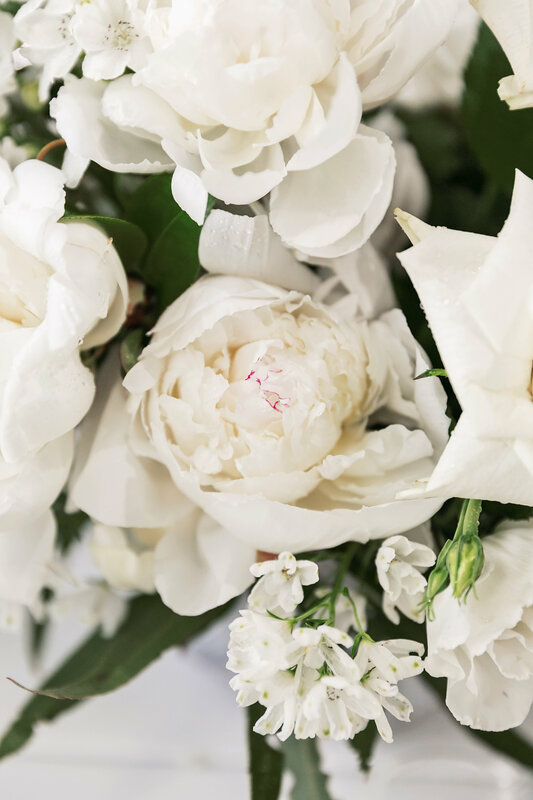 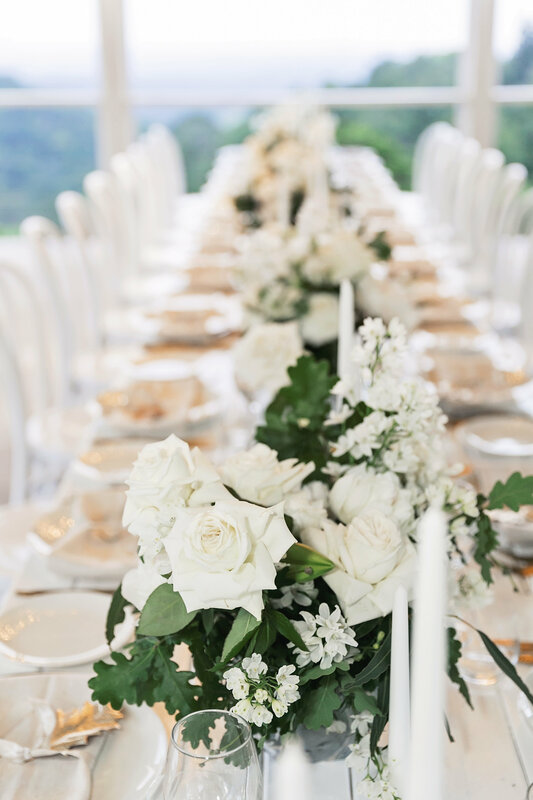 The year begins to sparkle with the love of Christmas in Maleny, Queensland’s favourite wedding destination and everything is glowing. 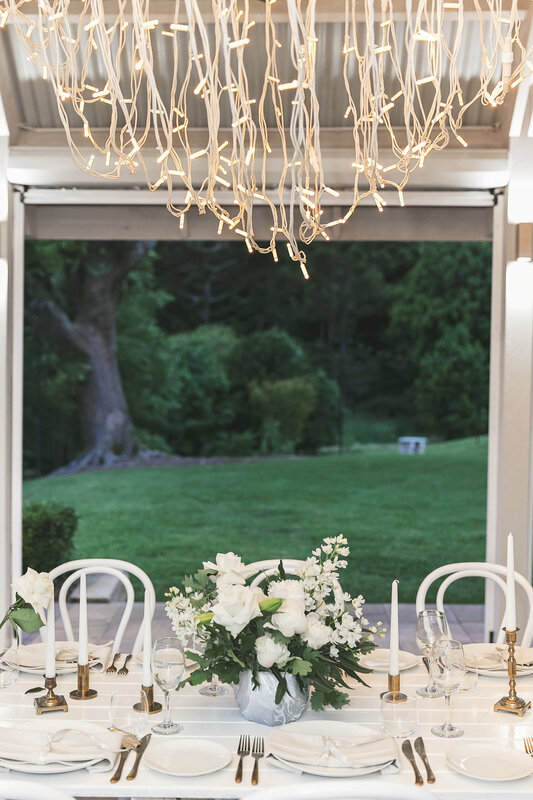 Creating intimate outdoor gatherings with all the lights, the pop of bubbles, party vibes and fireworks in the sky! 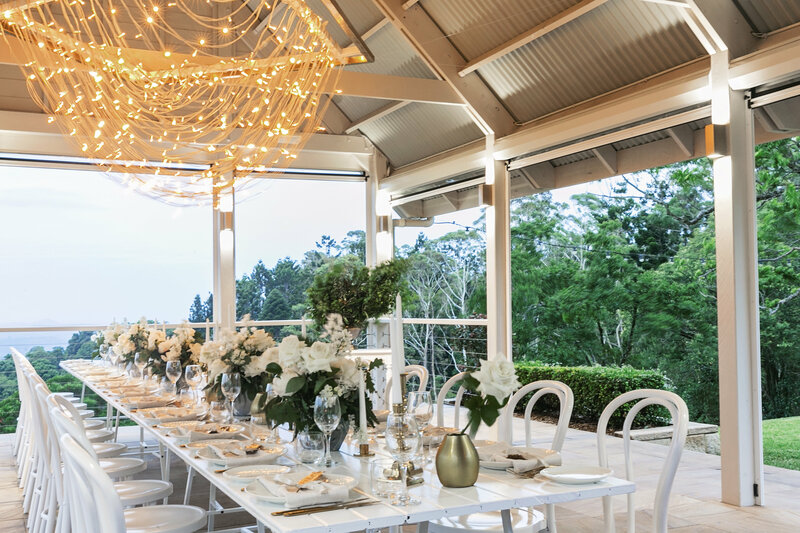 Sitting in your private pavilion looking out to the coastal lights and the ocean in the distance across the rainforest valley.. what a way to end the year! 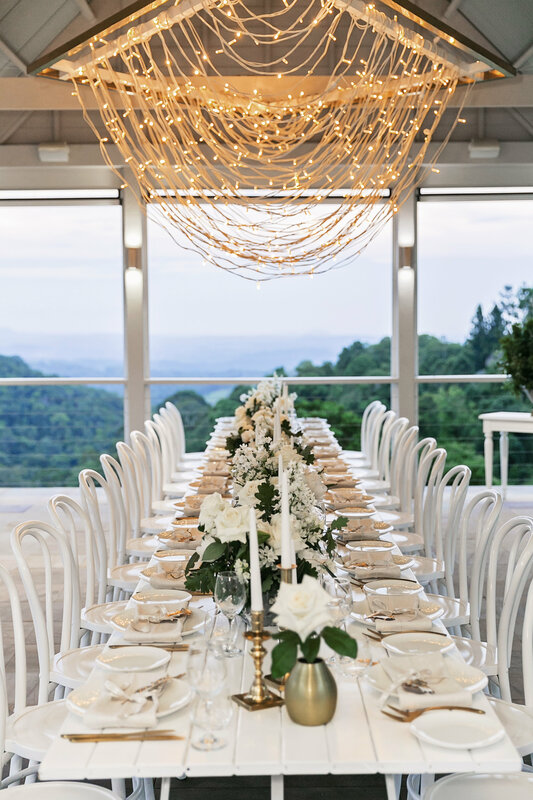 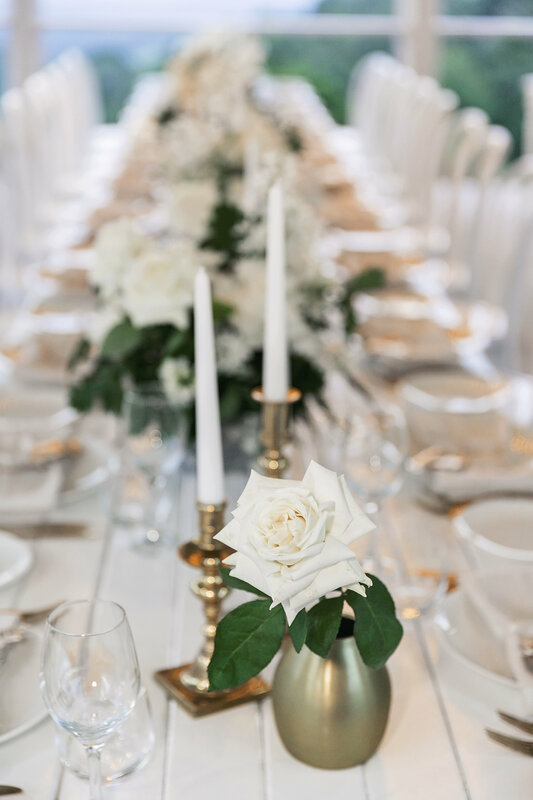 Step into this scene with us, created by the Style Team just for you, we are loving the timelessness of gold candle sticks and white lush blooms and greenery but with a fresh marble toned white and gold vase to add that modern take and suspended dome lights accentuating the space above. 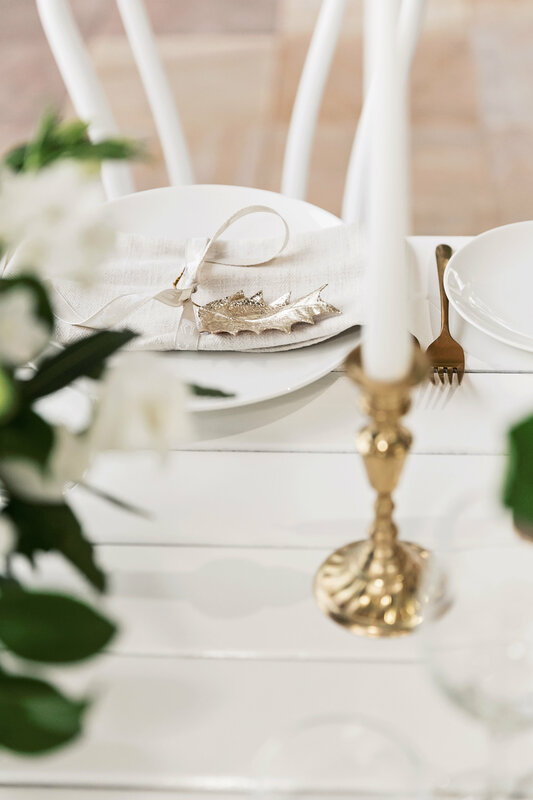 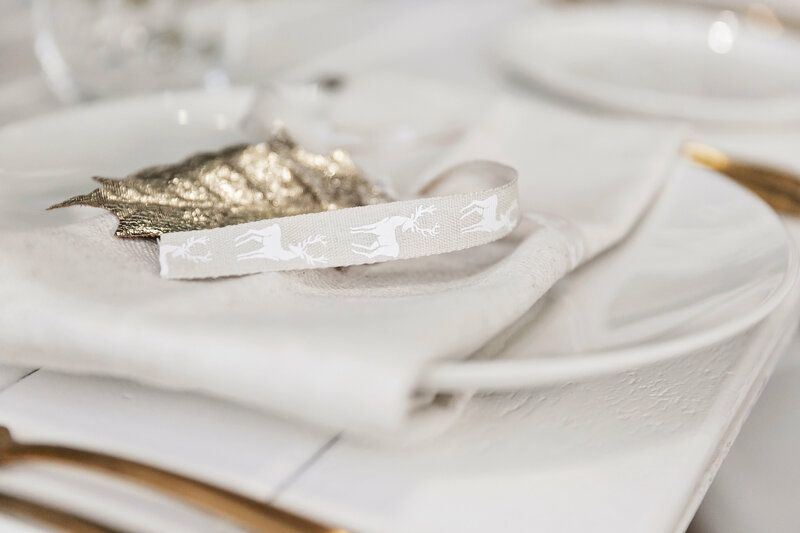 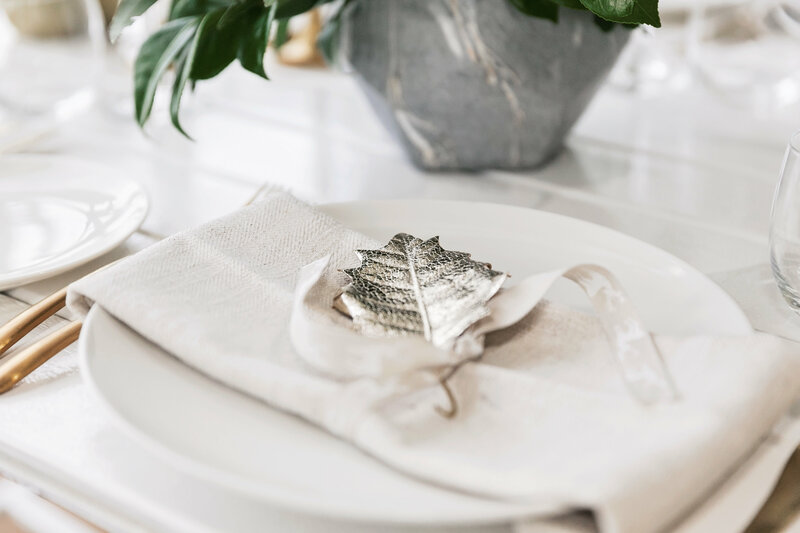 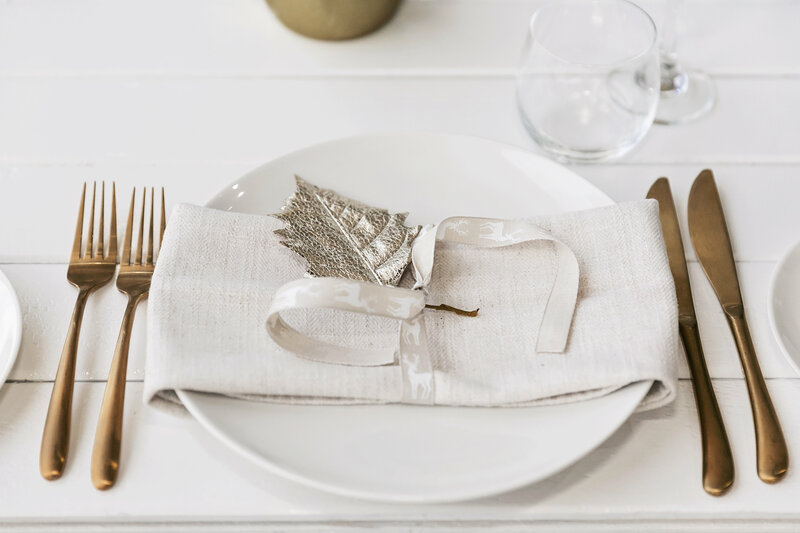 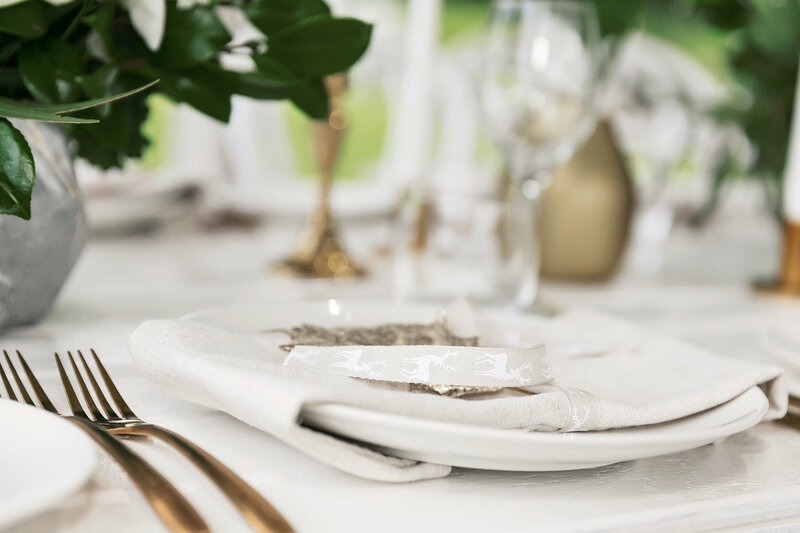 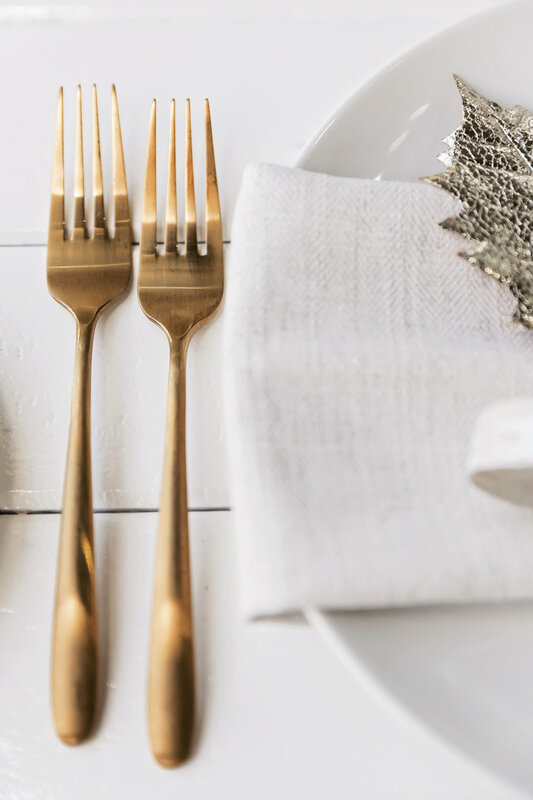 Gold cutlery and the sweetest reindeer ribbon on natural linen napkins with a touch of holly adds a sophisticated touch to your celeebration. 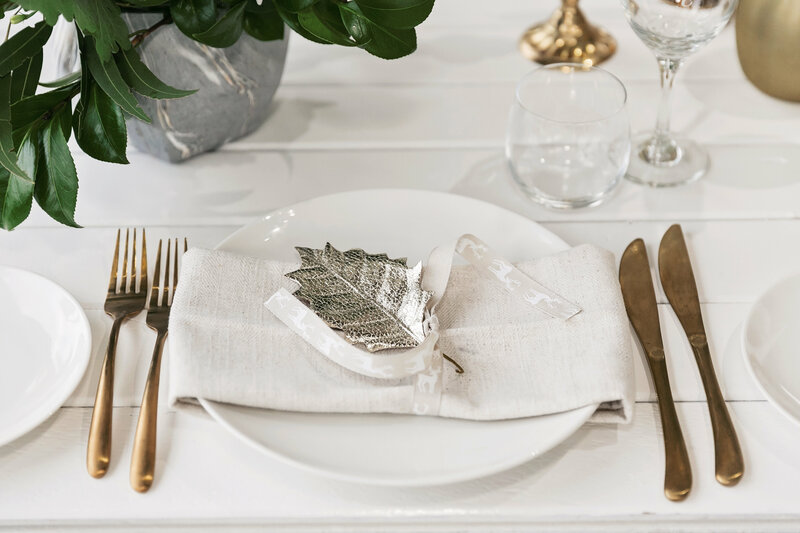 Modern but timeless Sunshine Coastal Fresh for a most elegant Christmas gathering. 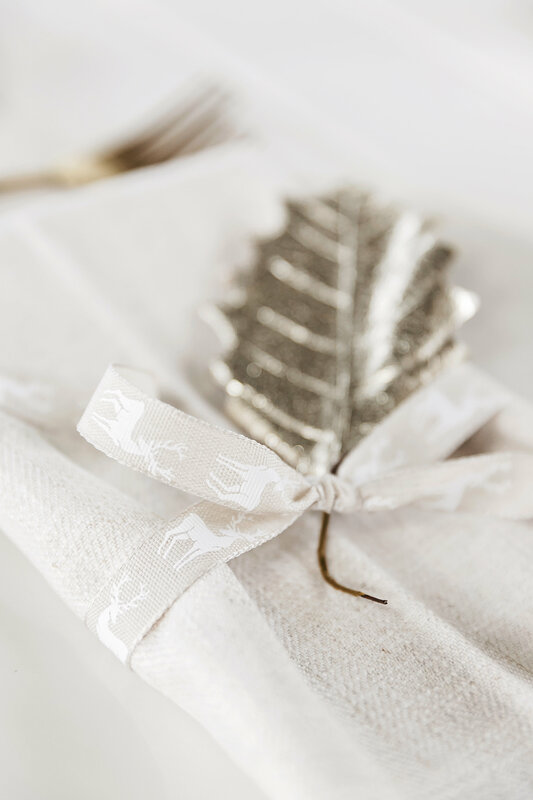 Merry Christmas and a Happy New Wonderful Year to you and yours.. may everything be merry and bright!